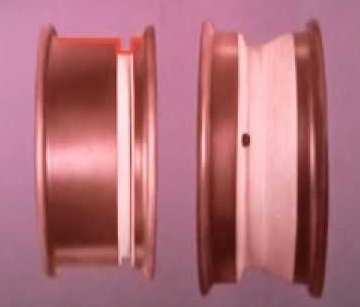 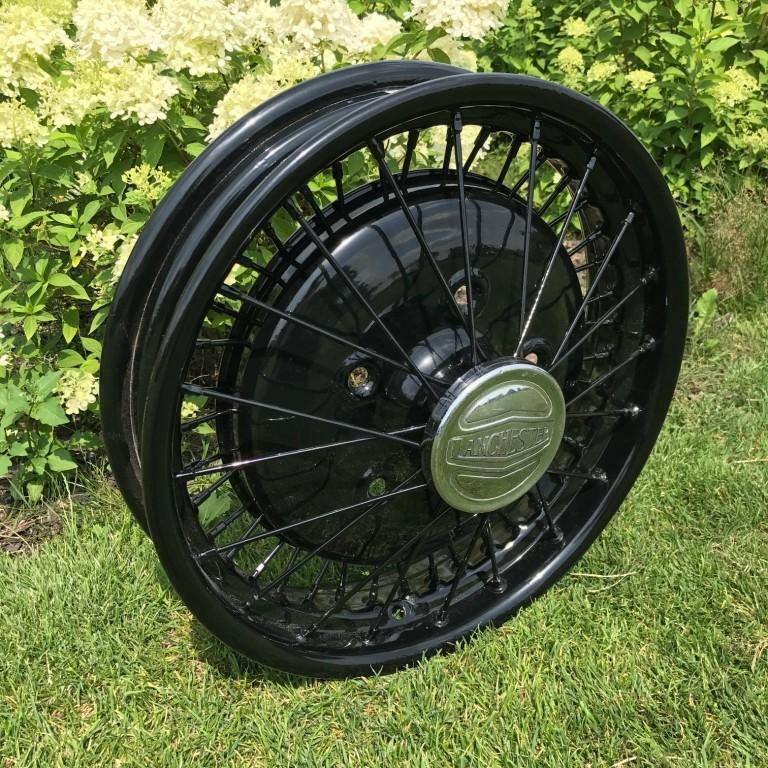 Many other manfacturers made their own wheels or bought them in from pure wheel makers, below are some of them. 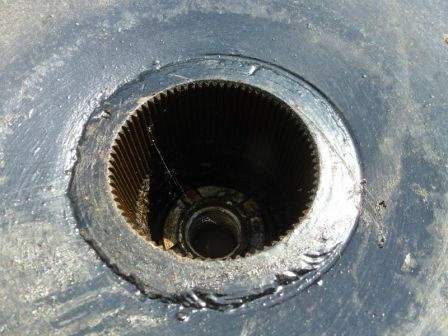 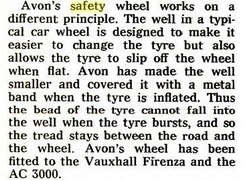 Avon safety wheel - https://en.wikipedia.org/wiki/Avon_Safety_Wheel although a brilliant safety idea they did not catch on as fitting the tyre was not as easy as a standard wheel, see further down for the Rubery Owen safety wheel which seemed to suffer from the same problem. 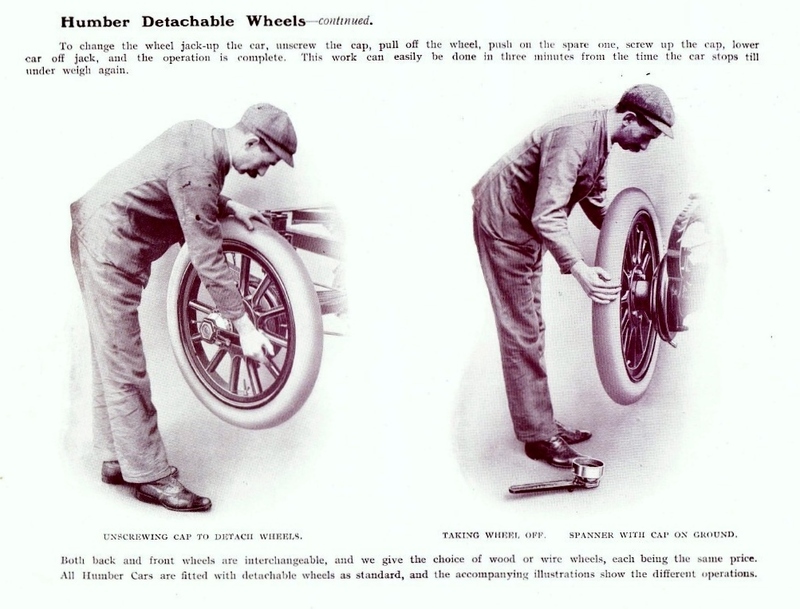 Above left shows the safety wheel and a standard wheel, on the right the procedure for fitting a tyre to the safety wheel. 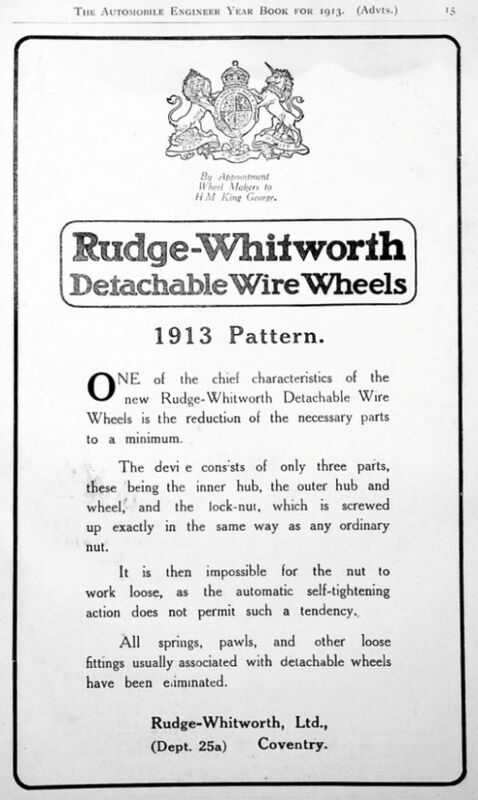 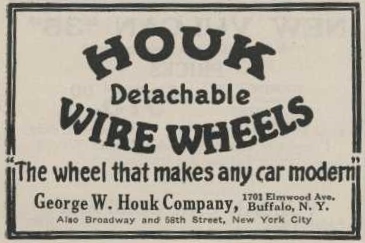 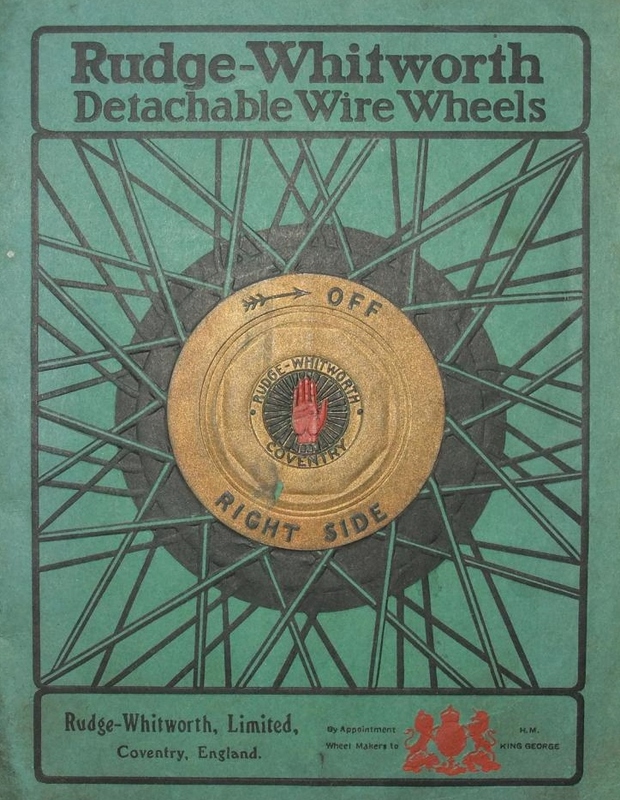 This type of detachable wheel was introduced it is thought around 1913 when fitted to a shooting brake built for the Docker family, this being just before WWI it is not thought to have come into general use until hostilities had ended and normal motor car production was reintroduced, they had a long service as they were still being fitted to cars around 1931/2 but more conventional wheel fixings seem to be used from then on using either a single octagonal nut or 4 studs. 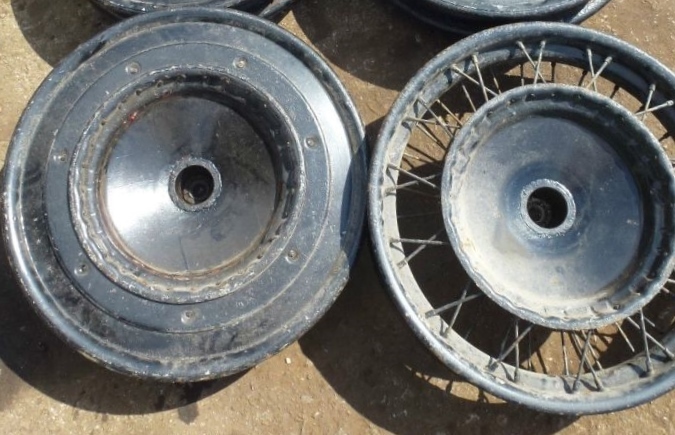 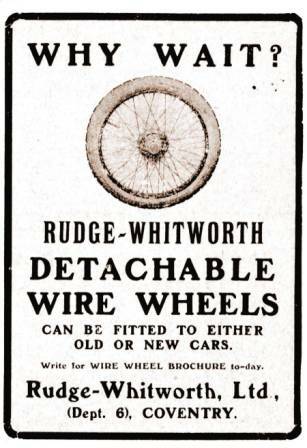 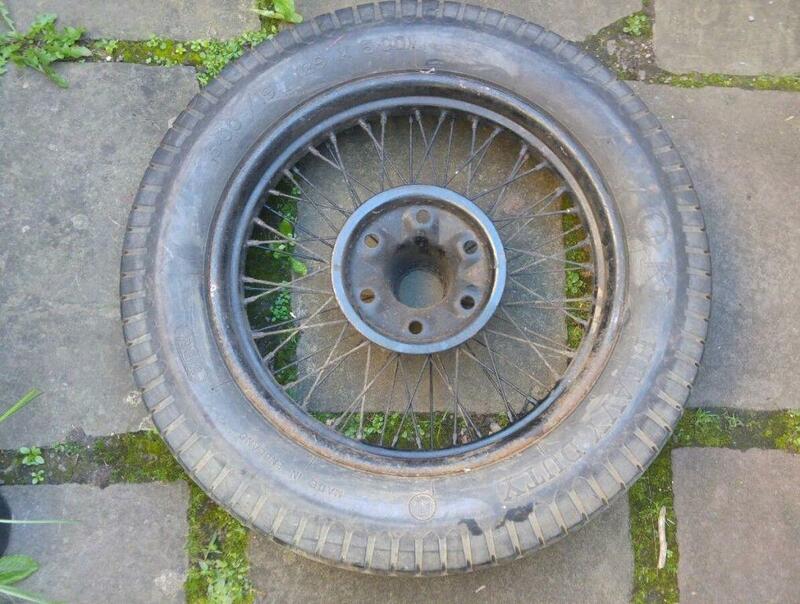 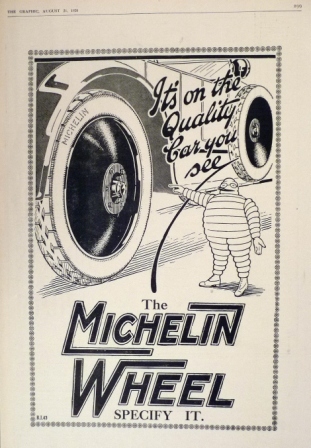 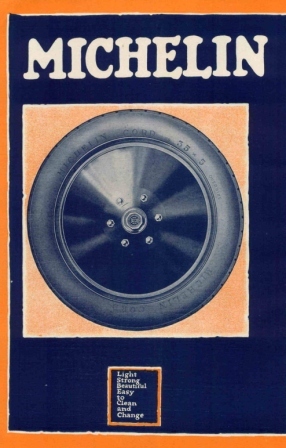 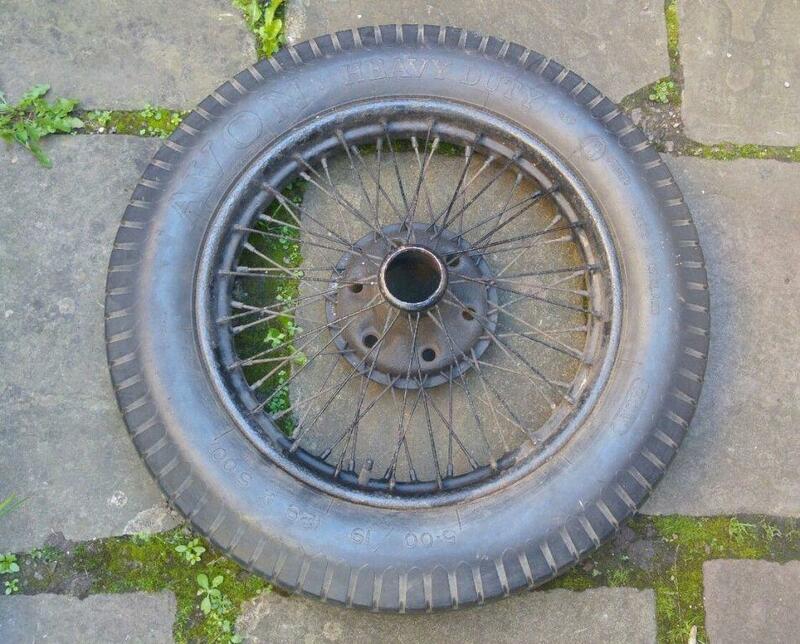 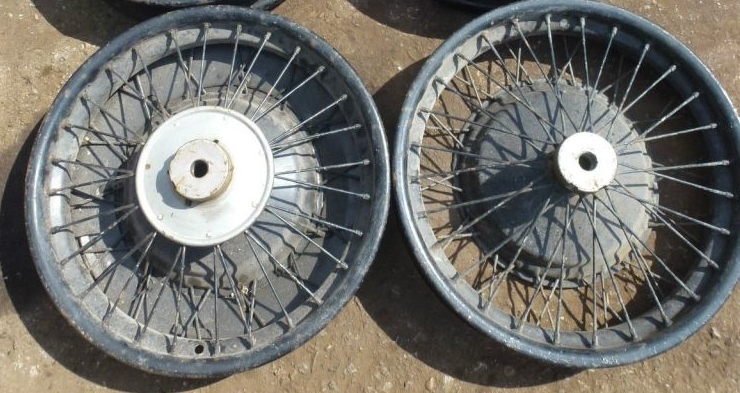 Lanchester were never fitted with these wheels as they were not incorporated into the BSA group until 1931. 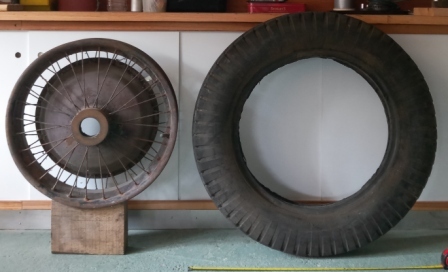 Many Thanks to Peter Gallie, Mark Cuthbert-Brown and Andrew Alston (his website is here - http://www.andrewalston.co.uk/ ) for their help with this history and pictures. 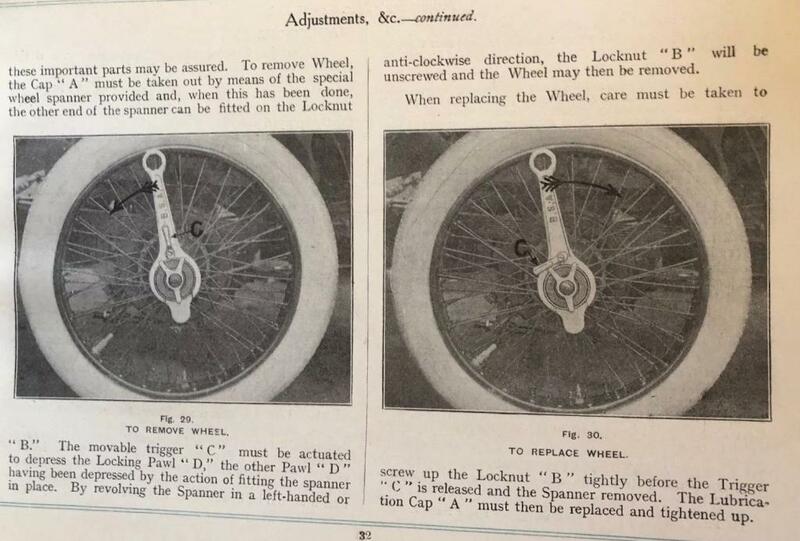 Shown are similar BSA and Daimler spanners and wheels with slight variations in design. 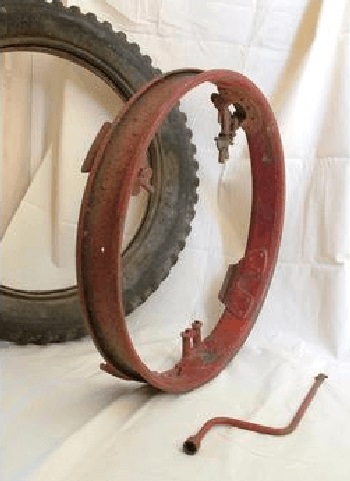 Below, a rare large 7.5 x 23" wheel and tyre from a Daimler Low Chassis Double Six 50, picture kindly supplied by the owner Peter Gallie and shown with his permission, in use from 1930 to 1963, being such a large wheel the spanner was equally as large having a 5 1/4" ring internal daimeter (Peter is in need of one this size if anybody can help). 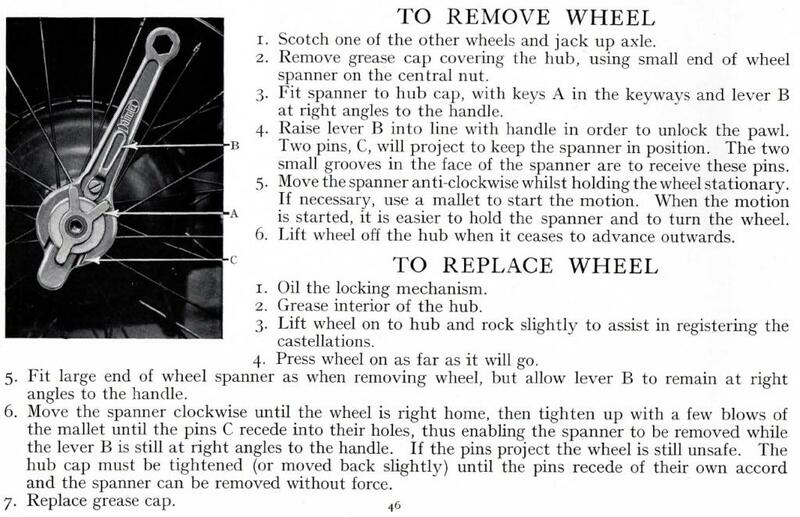 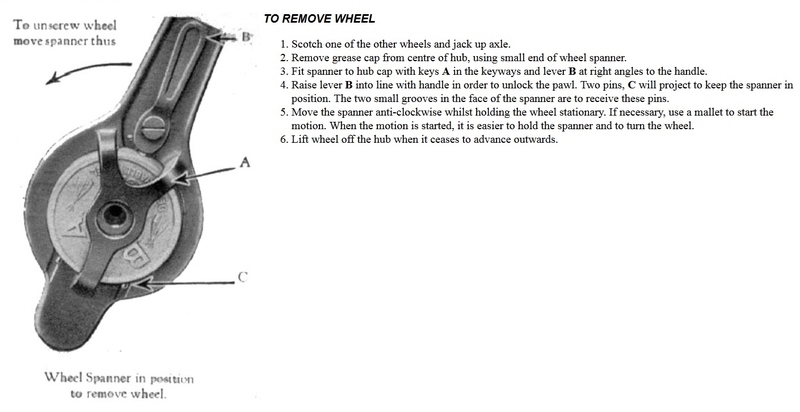 Below, wheel removal instructions from a Daimler 1919 6-30 instruction book seen on ebay, an easy to read instruction of the same From Andrew Alston's website http://www.andrewalston.co.uk/manual/p14.htm , followed by a page from the 1931 20/30 instruction manual (picture supplied by Mark Cuthbert-Brown). 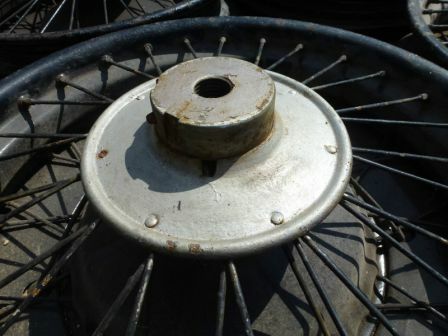 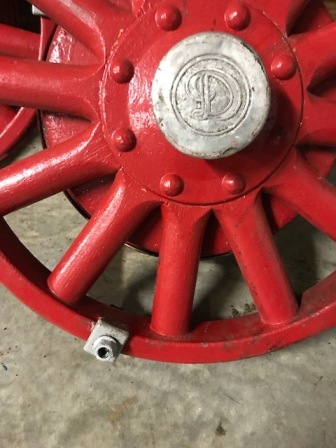 Very well known in their time, this wheel fitted with a Daimler cap. 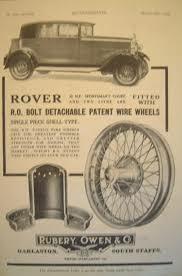 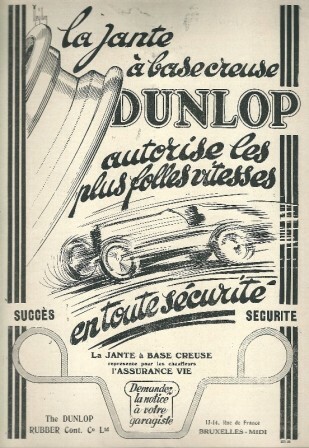 Dunlop - 4 stud disc wheels shown here fitted to a Riley 1920's chassis and a French advert. 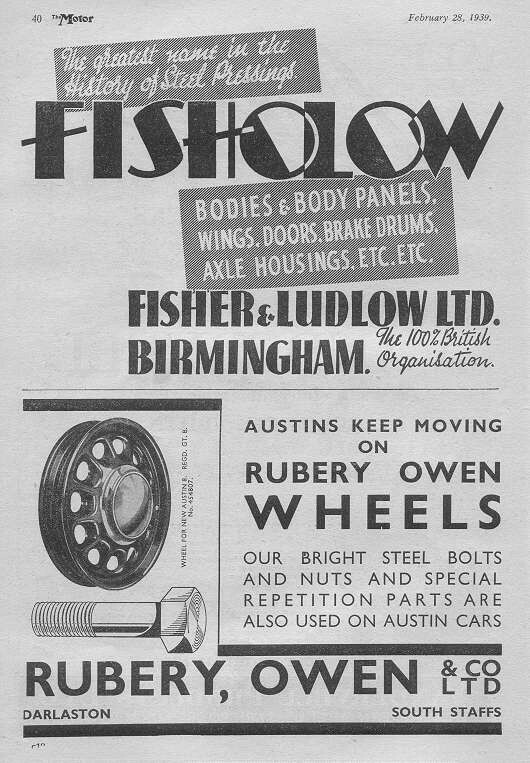 Rubery Owen - Rubery Owen.com A British company still trading, not only did they make wheels but chassis and anything else it seems! 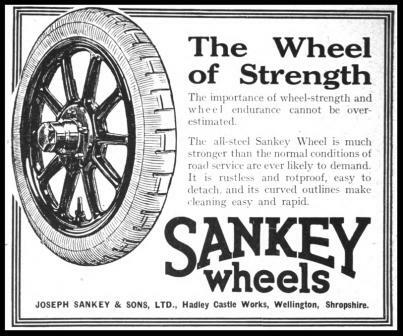 The red wheel pictured was from an Austin Twelve 1929 - 30, normally Austin used Sankey wheels but this wheel was used as it gave a more sporty look. 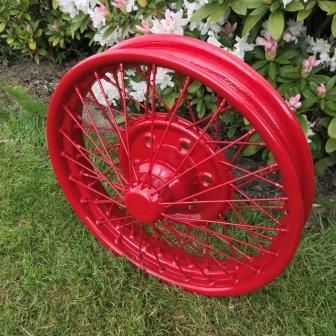 The Rostyle (Rubery Owen Style) wheel they made in the 1960/70's was a steel pressing shaped and painted to imitate "alloys"
Salisbury wheel & Mfg. 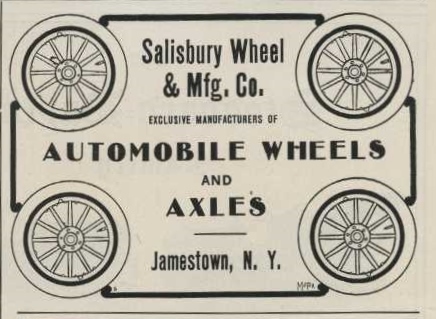 Co. Jamestown N.Y. - The Salisbury Wheel Company was founded in Jamestown, New York, in 1901 when C.W. 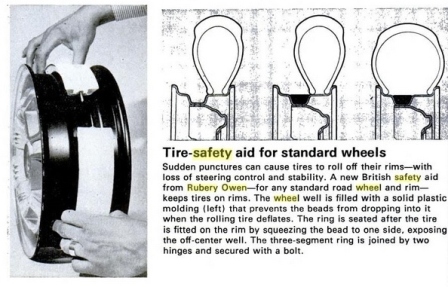 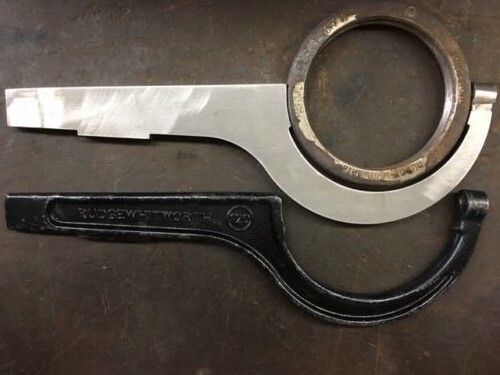 Salisbury, a key-maker and mender of umbrellas, patented an automobile wheel, then pooled his life savings with two colleagues, Scott Penfield and E.D. 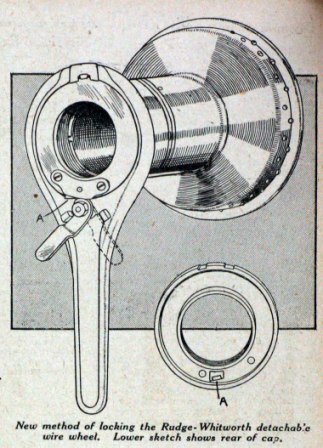 Sherman, and started manufacture. 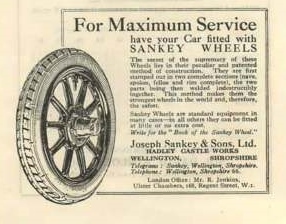 Salisbury's first customer was the E.R. 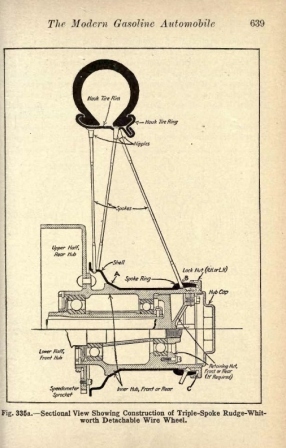 Thomas company, maker of the Thomas Flyer. 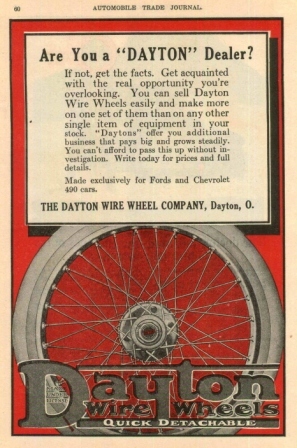 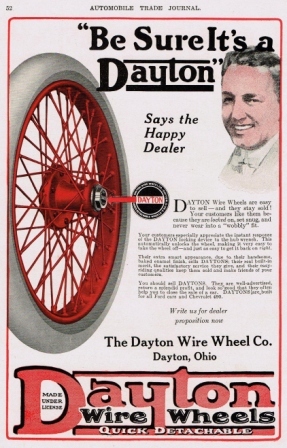 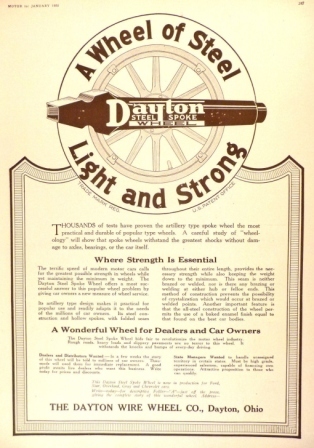 In 1905, the company started manufacturing front axles. 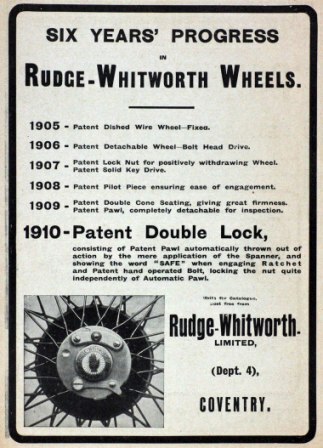 Two years later rear axles were added to its product line. 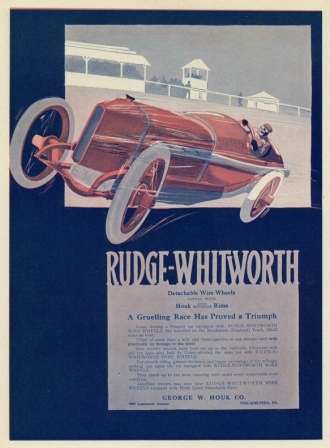 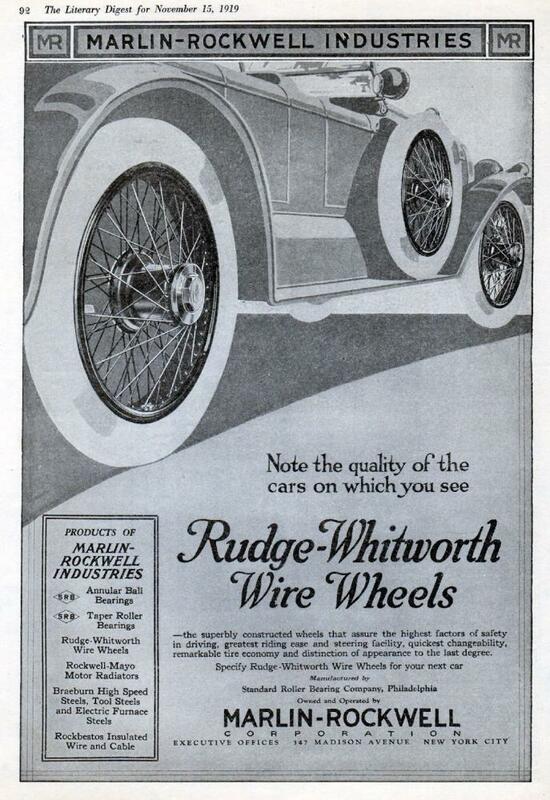 Acquired by Spicer in 1919, Salisbury was moved to Toledo in 1929, closer to the center of the automotive industry. 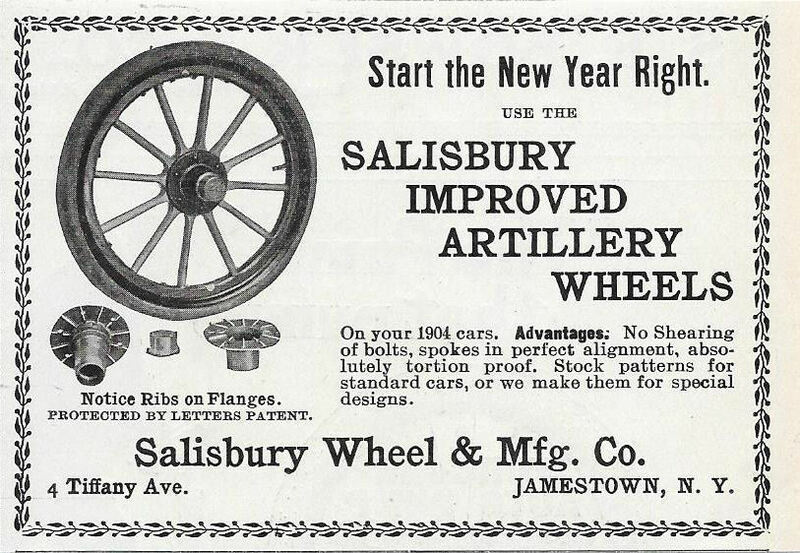 Salisbury axles became standard equipment in thousands of automotive vehicles. 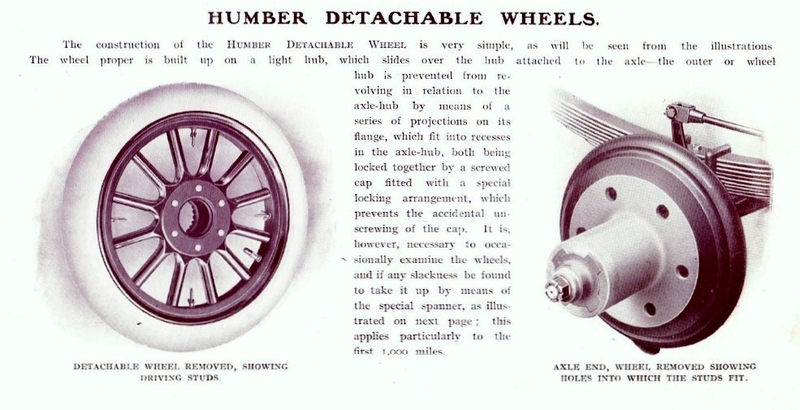 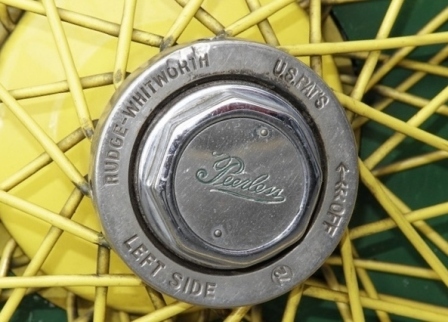 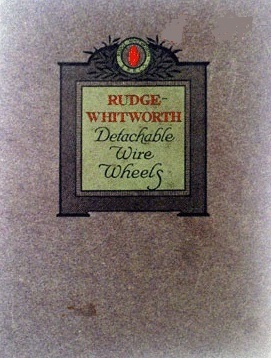 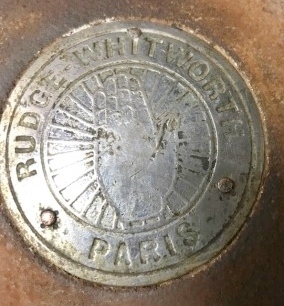 At the outbreak of World War II the light, Salisbury's rugged axles proved ideal for the Jeep. 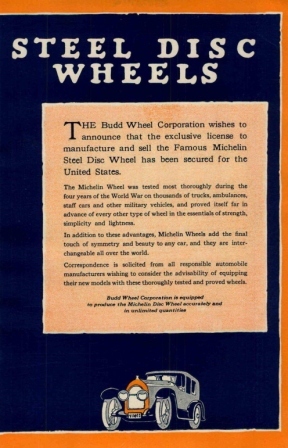 The Jeep proved so popular that in 1945 Salisbury had to build a new plant in Fort Wayne, Indiana. 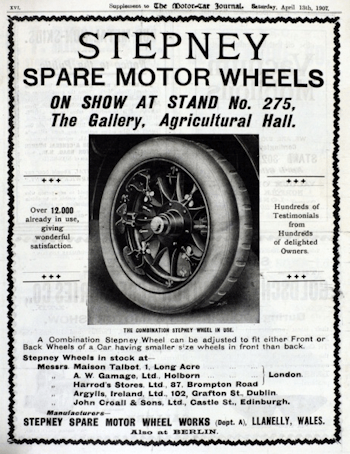 In 1970, the Salisbury Axle group was renamed the Spicer Axle Division. 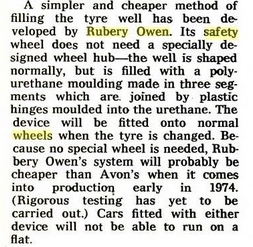 Stepney - Stepney invented in 1904 by Thomas Davies in Llanelli when motor cars did not have spare wheels, Mr Davies's brilliant idea was to fit an inflated tyre to a spokeless rim which could easily be fitted to a fixed wheel suffering from a puncture as a "get you home" solution, eventually removable wheels and carrying a spare become common which put an end to this idea. 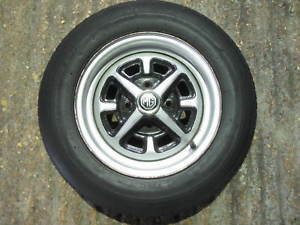 However the name lingers on in India, Bangladesh, Malta and Australia where a spare wheel is still called a "Stepney".